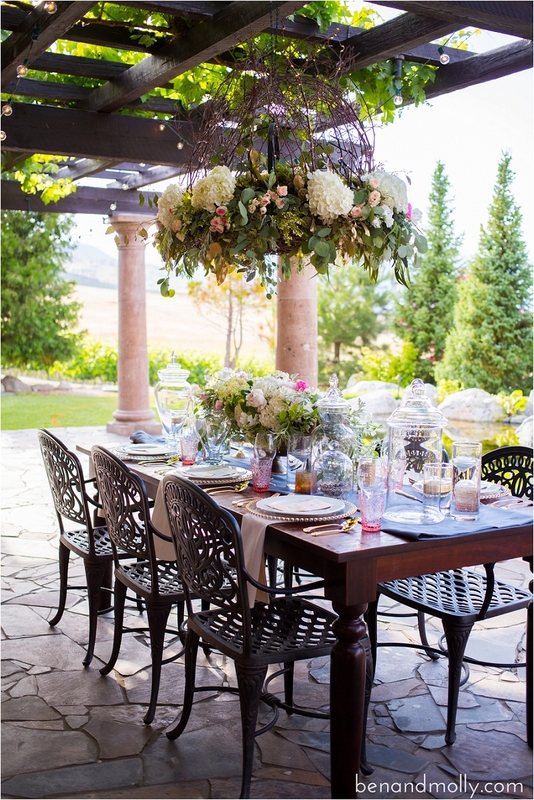 Fleur de lis Floral + Event Design was excited to participate in this Summers Inspirational Style Shoot at the beautiful Tsillan Cellars Winery! 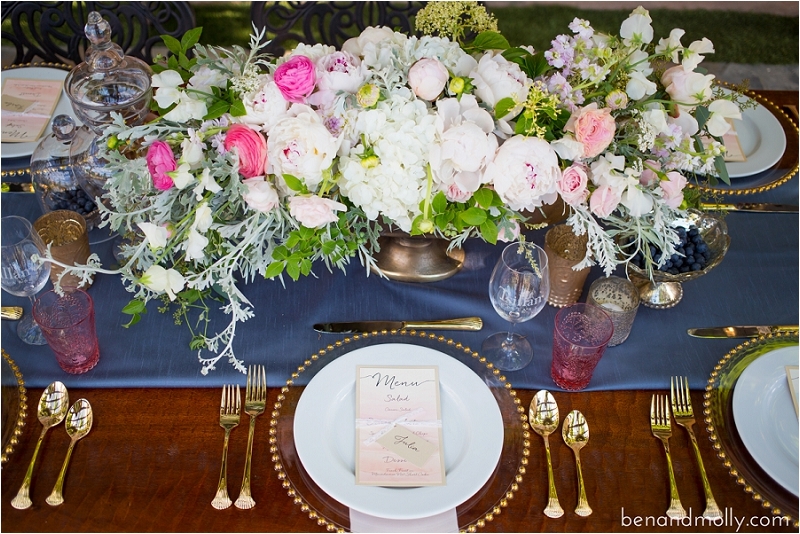 We were thrilled to be featured on Seattle Bride Magazine’s blog. 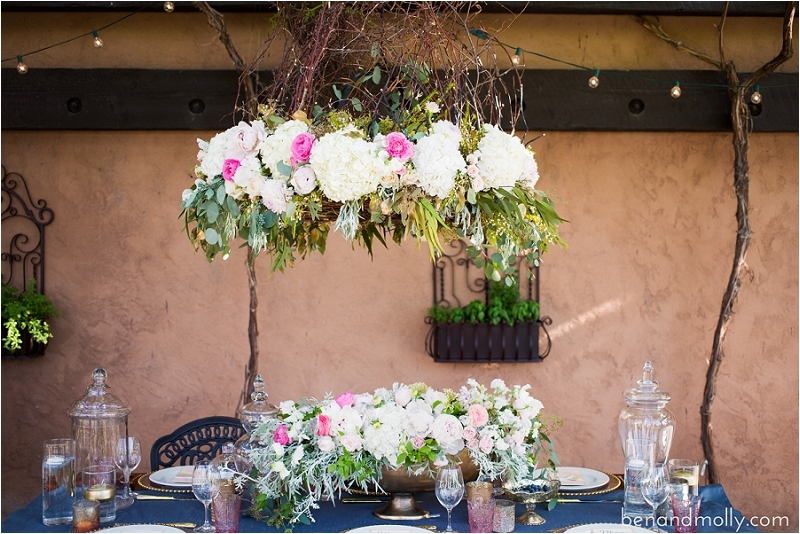 Peonies, sweet pea, hydrangea, ranunculus, majolica roses, seeded eucalyptus, variegated pittosporum, and hanging amaranths. “Chelan is one of the most perfect locations for a mini-destination wedding, complete with amazing views and gorgeous weather. 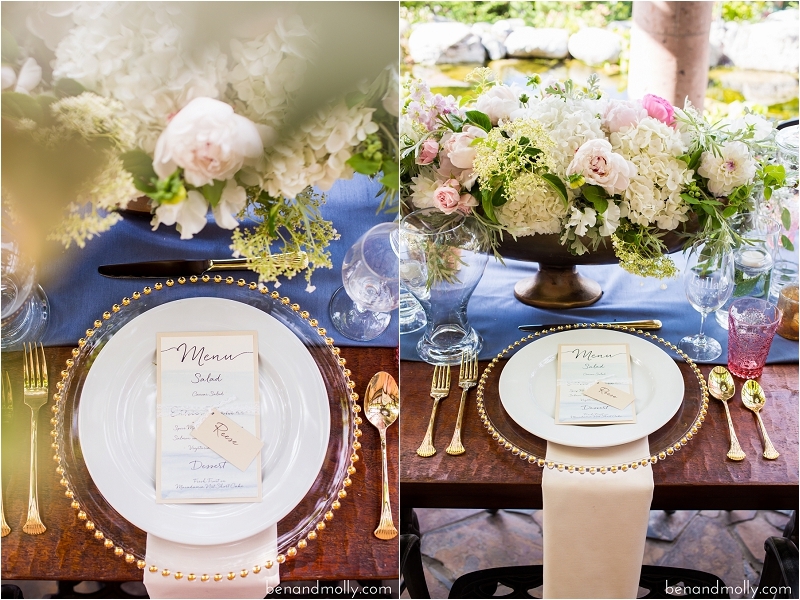 With dusty blue, blushes and gold, this romantic Italian inspiration shoot took place at Tsillan Cellars Winery. The patio featured outdoor party lights and was surrounded by coy ponds and water features. 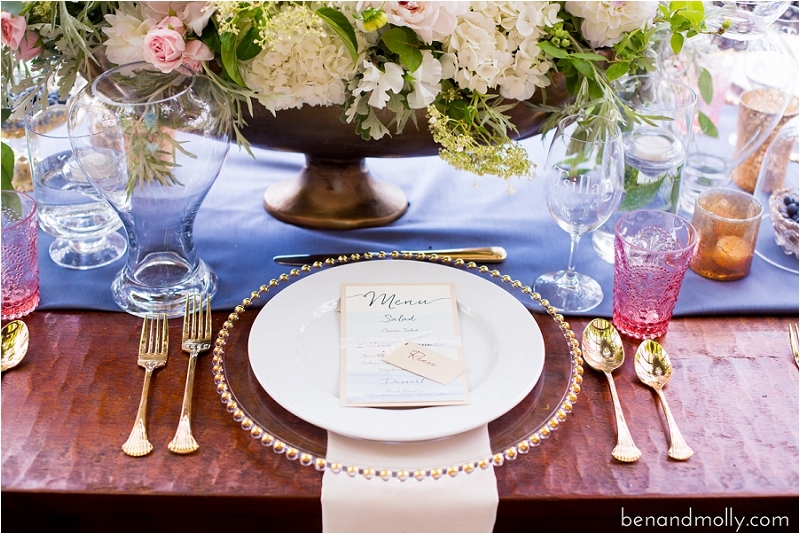 We absolutely loved hand selecting the details that inspired us to create this shoot. We enjoyed coordinating all of our vendors since each one brought a unique element to the shoot with their own personal touches and flair. The tablescape was completed by Lake Chelan Wedding Rentals including gold flatware, glass beaded chargers, cake stand, and vase collection. Fleur de Lis Floral & Event Design designed the soft floral look in the chandelier, centerpiece, bridal bouquet and headpiece, with hydrangeas, peonies, ranunculus, sweet peas and greenery. Custom watercolor invitations and menu were digitally printed by Paper Fling. Cake Chic Studio baked the three tiered lemon cake with butter creme frosting. 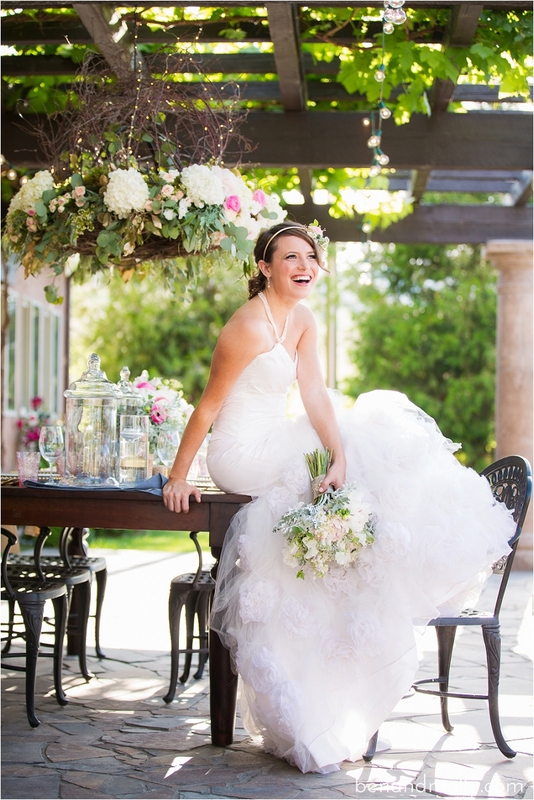 The bridal look was pure romantic lovely, gowns and accessories by Cicada Bridal. Dress ‘Angel’ is a mermaid fit, beaded lace illusions top and tulle skirt and dress ‘Cassie’ is a fit and flare pleated silk taffeta bodice, with silk organza flowers and tulle wrapped on the skirt. And the ones who captured the shoot perfectly, Ben & Molly Photography! Wearable flowers ~ She wore a floral headpiece of pink majolica roses, gilded seeded eucalyptus, white yarrow and a sprig of fresh blueberries. Gold Bentley vase with blooms!